Chateaux D'Mont - Extremely popular two bedroom, two bath (7 separate beds) with Private Hot Tub right in the unit. Located next door to the Mountain House in the Keystone Ski Area (the Peru Express lift is next to that building). Closest two-bedroom condominium to the Mountain House lifts (50 yards from the Mountain House). Best location in the ski area - close enough to ski in for lunch or go night skiing on a moment's notice. toilet, combination tub/shower, Hall bath with 2 entrances. Vanity sinks off both entrances. Chateau d'Mont is the closest unit to the Mountain House lifts in the ski area. 50 yards to the Mountain House. Closest parking (with permit we provide) in the resort to the Mountain House lifts. Private patio off the living room and hot tub room. Access the unit from the walkway outside. Easy to return to the unit for lunch while skiing. Very convenient to go night skiing next door. Had a great stay! This condo is TRULY the closest to the Peru lift and Mountain House. Made it very convenient for mid day stops to warm up. 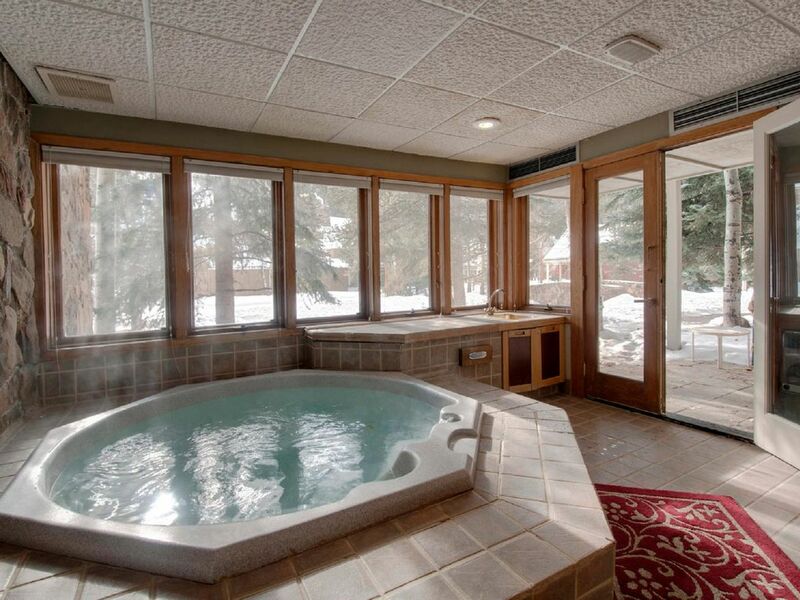 Loved having the private indoor hot tub. A real plus! Was great space for family of 5. Great location. Condo is nice but showing signs of rental wear. Would like to have fire starters but not a big deal. Overall great and would rent again. Very large and comfortable condo. Plenty of room to accommodate for large or small groups. Overall the location is great! You can nearly ski right down to the condo. It is a little dated but very nice. Amazing location right next to the Peru lift. Was an amazing location and was very nice having the private hottub after a day of skiing. MINIMUM STAY REQUIREMENT *** In general we have a 6 night minimum stay during busy dates, but there often are EXCEPTIONS where we'll take even a 2 night stay for short GAPS between longer bookings and during less busy months. It's best to just E-MAIL us to see if we have a gap yet that fits your requested dates. This works better CLOSER to the arrival date when we have more long bookings in place.